Last week I stumbled across this beautiful new Australian company that has just launched their first range of nursery linen! I love their name: In Bed With Fred, and I love that it was started by three Aussie Mums!! Who obviously saw what was missing in the kids linen realm! 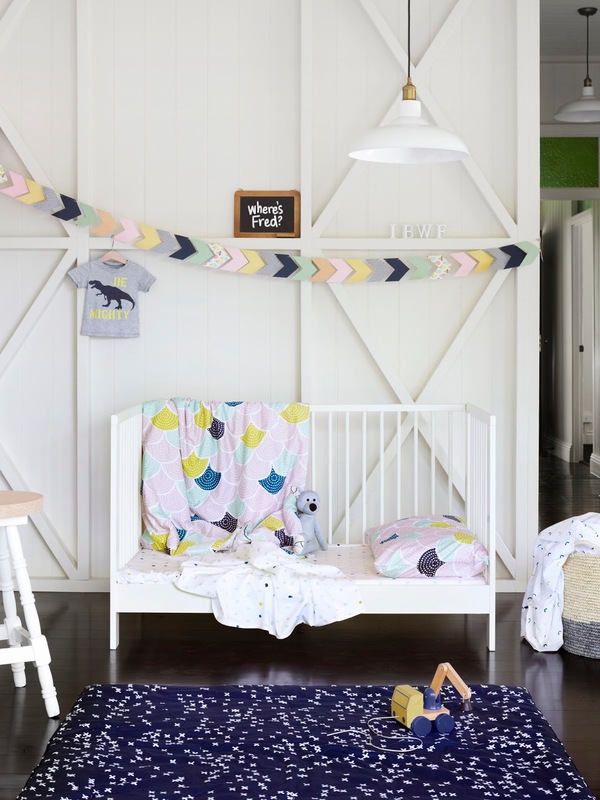 I think their collection of cot sheets and quilt sets are GORGEOUS! So, I thought you might like it too! Their linen is all made from 300TC Cotton Sateen so as well as looking great, I'm sure it is pretty nice to sleep on too. And, you can pre-order now for delivery late this month. I feel like only a year ago when I was hunting for cot linen for Willow, it was so hard to find anything really nice that wasn't pink polka dots or just plain boringness! 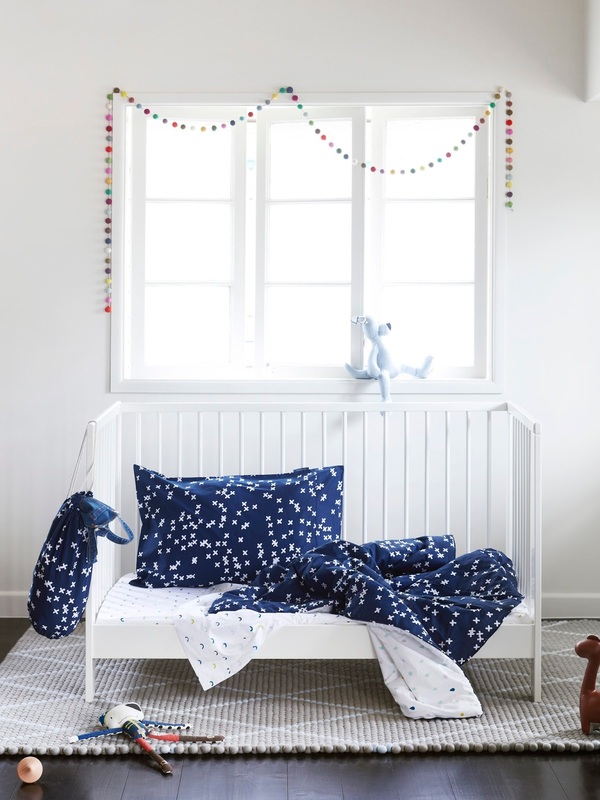 So this is so, so refreshing to see really lovely cot bedding for both boys and girls! There seems to be a bunch of big companies diving into the kids linen arena lately, but if you look just a little harder you can find some gorgeous small businesses and independent designers that have some really great pieces, that will give your kids rooms a little more individuality! Plus, I really like the idea of supporting small Australian companies and designers, even if it does cost a little bit more than the mass produced stuff! What do you think? Do you love it too? 2 comments on "New Aussie Designed Cot Bedding: In Bed With Fred"
I think we should learn something from our husbands here. When my husband plays with our 2.5 yo son, he's not thinking about how the washing needs folding, or the dishes need doing, he's only thinking about playing with our son. Of course this is quite the luxury, but it does mean they are both probably having a better experience together. It's totally not fair, but I guess if there is one positive, it's that it should remind us to be more mindful around our kids.